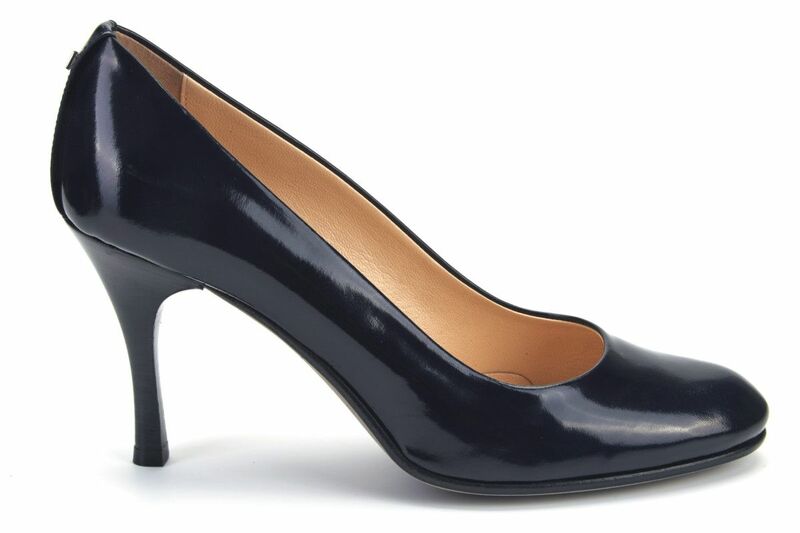 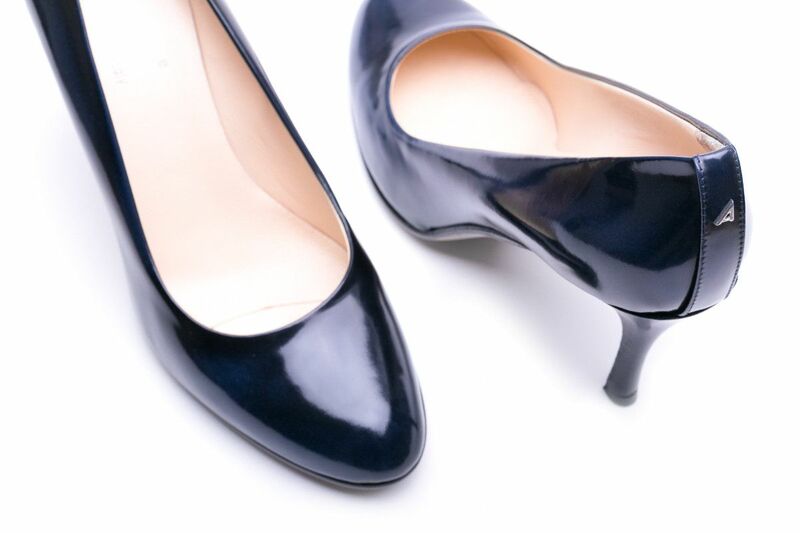 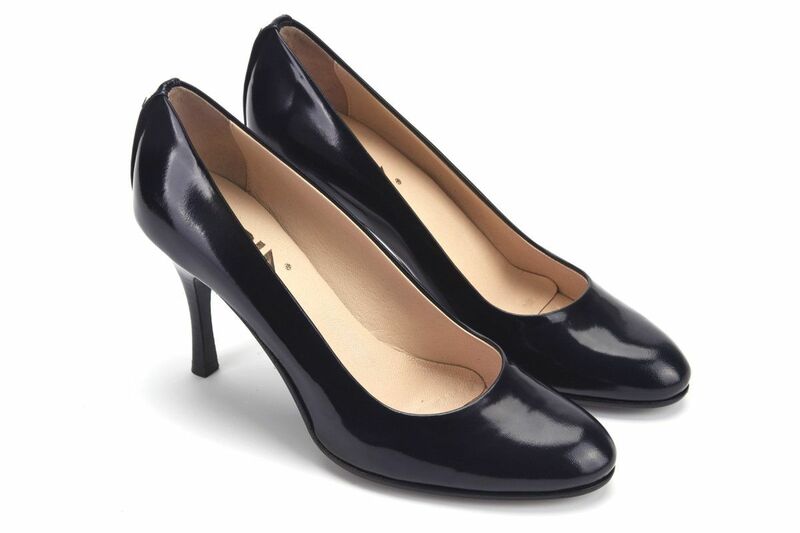 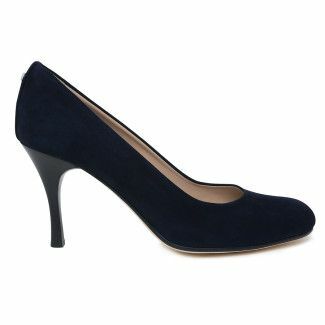 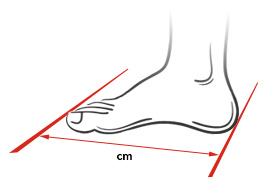 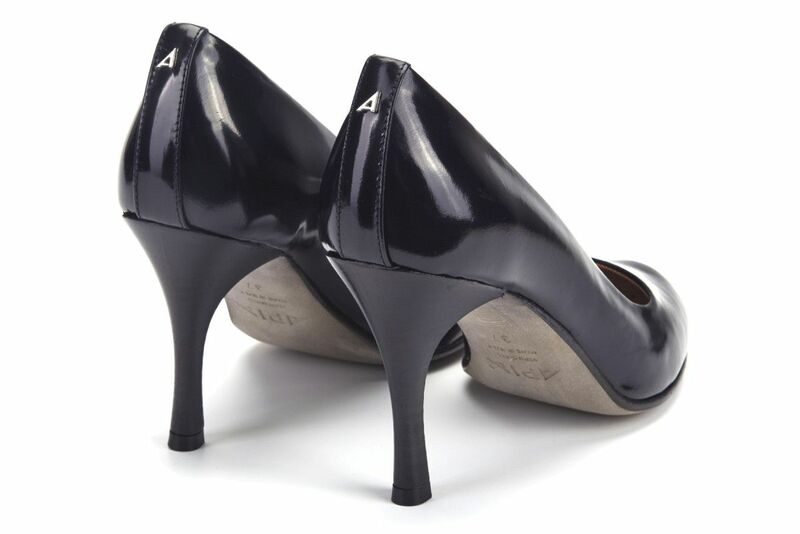 Navy blue high-heeled shoes with a shapely, 7 cm heel. 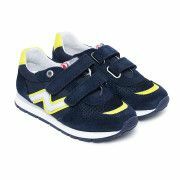 An upper made of corrected grain leather; a fashionable, dark navy blue color. 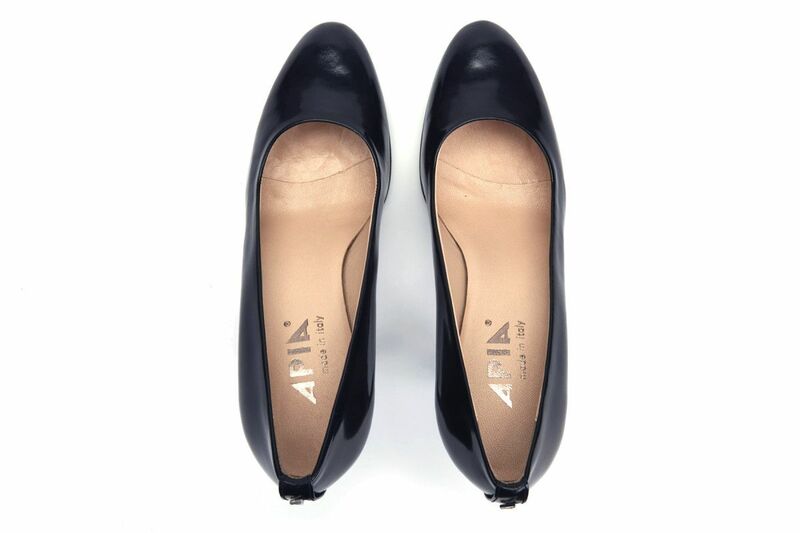 A classic design, always fashionable shape. 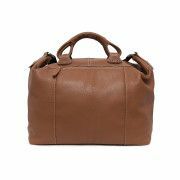 Made wholly of leather. 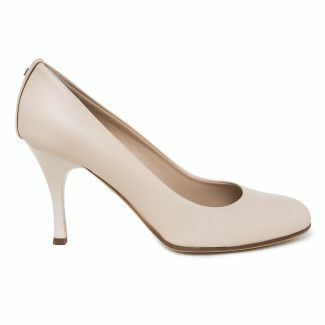 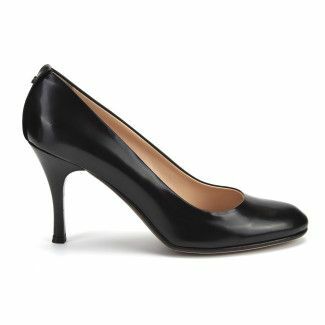 This shoe model is indispensable for elegant receptions or business meetings. These shoes are ideal for both work and special occasions.